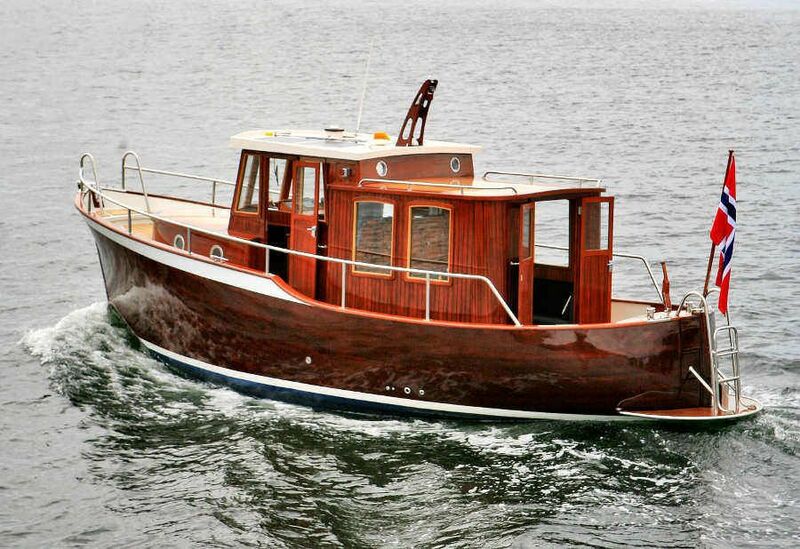 The yacht has become a great invention where you can enjoy a luxury life. It is not a mistake that many people around the world are spending times on in their yacht. For example, a lot of people do have a yacht where they spend a memorable time. Apart from this, another example is about one of the richest man in the world, who also have a great enjoyment with his family on his yacht. However, beyond having a holiday on your yacht or having some fun with your family, you can also have an aquarium in your yacht. You can imagine yourself cruising an amazing yacht while you are also able to watch a precise replica of an exotic and outstanding marine life. 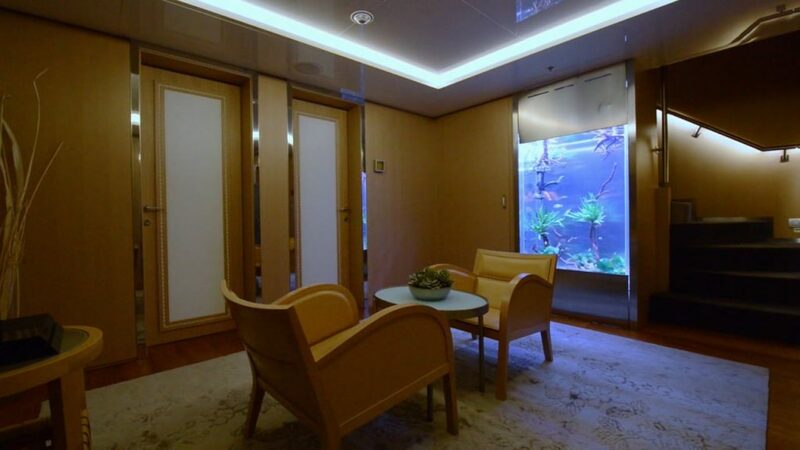 You can have this if you custom an aquarium on the shipboard. You will be very happy to hear that doing that is very easy, simple and straightforward. Even if you are interested in the underwater area, you can have a two thousand gallon fish tank aquarium habitat that is completely stocked with virtually all the sea life one can see anywhere either in the North Atlantic sea or the Indian Ocean or even in the South Pacific. It is possible to have a yacht that has a beach club, an aquarium and a swimming pool right inside it. So, it’s not something new that an aquarium can be on a yacht. However, in the world today, there is very few yachts. Meanwhile, this is not only true of the yacht, but it is also true of the boats. But it is good to note at this juncture that we only have few yachts and boats in the world that have an aquarium in them. 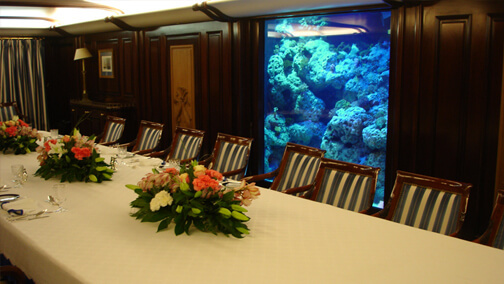 Most of the yachts that have an aquarium in them can be seen from two sides, and they normally have curved acrylic windows. The windows do follow the sleek lines of the interior of these yachts. Talking about how the aquarium is built, the first thing is to plan, and this planning stage involves conceptualization of how you want the aquarium to be and then designing it. Most of the times, a 3D computer-aided software is used. It’s just like when you are talking about building a structure in real life. For example, the building of the Burj Al-Arab, the luxurious hotel built in water in Dubai first involves a design from the Architect. After this, the structural/civil engineer also produced the structural design before they moved on to building the structure. Though building an aquarium has the same process of first designing the aquarium, it does not involve experts like an Architect or a civil engineer. Your aquarium’s design needs to enough details. 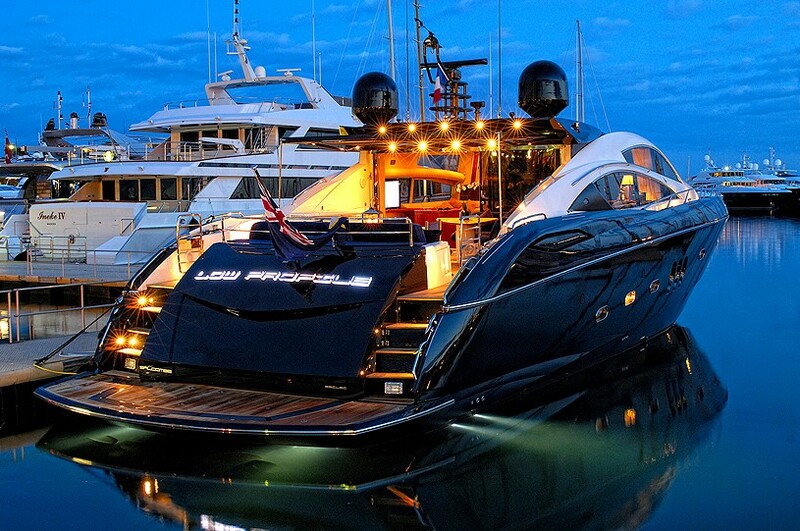 The equipment and aquarium will be positioned on the yacht in such a way that their weight which is high, will not affect the performance of the yacht in any way or form. When you are creating the aquarium, there are unique items that you need to put into consideration. Apart from this, some modifications you need to make include increasing the acrylic thickness so that it can withstand the load and the dynamic pressures of the yacht as it sails through on rough water. You may also need to integrate some canopies that are watertight to prevent a situation where the aquarium water will be spilling during any harsh condition. One this is very important, you need to build an aquarium that will require low maintenance. 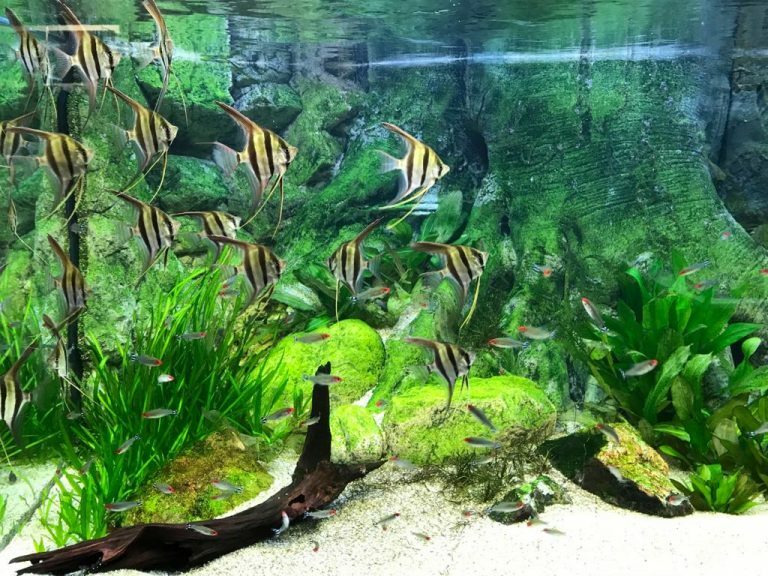 That is, you need an aquarium that will be efficient and effective, one where freshwater life will be awesome and which can last long even more than you can imagine. It will need to be user-friendly as well. Once you are ready, there is no point to delaying yourself. You can start now; as stated earlier in this article, there is a yacht that has a 2000 gallon fish tank aquarium in it. It is right on this earth. You may not be thinking of having such, but you can surely have one for example 20 gallon fish tank. 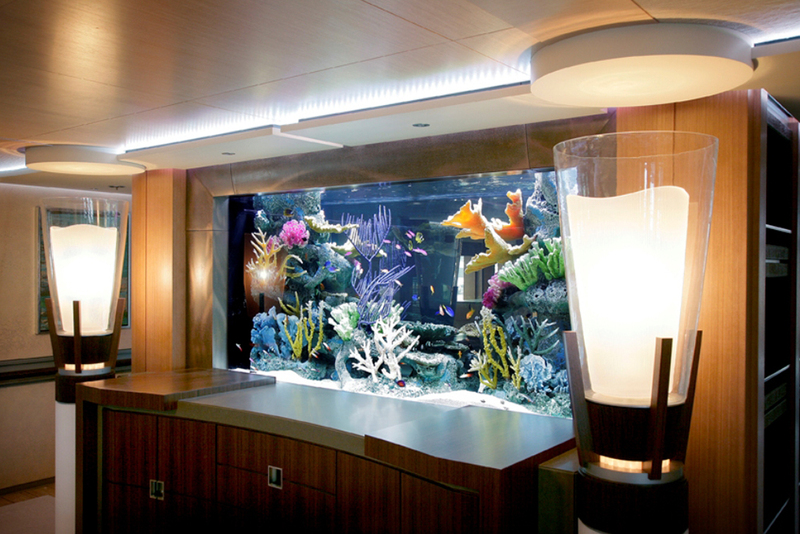 Several people have built a lot of freshwater and saltwater aquariums in their yachts. Many people enjoy being on the boat. The feeling of being in water is what many love. You may be part of us, the people who like to go on camping in a sailboat at least for a while. Some other people even like to live and work on a small sailboat. These are possibilities, and they take just simple steps to get them achieved. 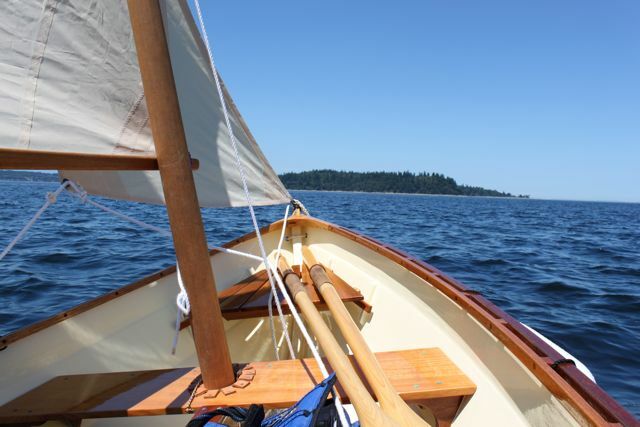 In the next few sections, you will read the step by step guidelines on how to set up a small sailboat for camping. The popular saying that if one fails to plan, one must plan to fail is still very much correct. The same thing is obtainable for setting up a small sailboat for camping. You need a lot of planning. You need to think of your budget. How much do you have? How far can it take you? When are you going camping? Think about the weather among other things. This is very significant in setting up a small sailboat for camping. You need a boat for this purpose. That’s the centre of the main set up. Without having a sailboat either you want to buy, or you want to hire, there is nothing you set up. 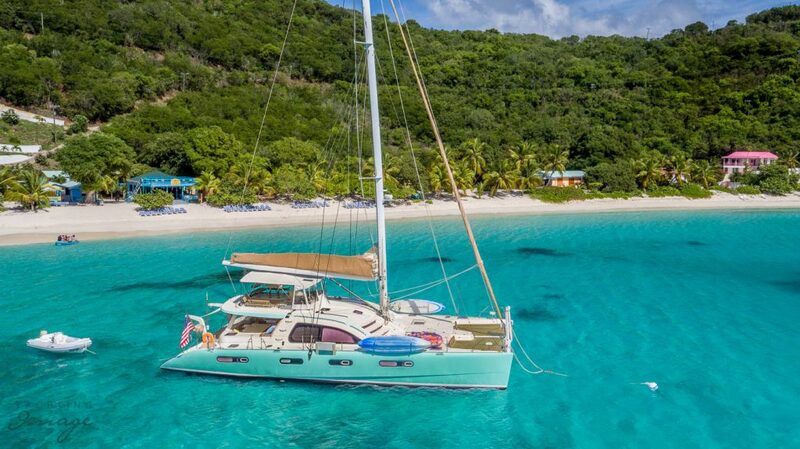 Acquiring a sailboat seems to be easy this day but this is if you have your money. When money speaks, properties succumb. So, with your money, you can go ahead to a marine shop where they sell the marine boat. However, if you already have a sailboat at your disposal, it’s a great thing; you are good to go. For sure, you need light. This is very important especially at night. For this reason, it is expedient that as you go camping, you should get a lamp. You can get a kerosene lamp, but that’s archaic. You may get some rechargeable lamps maybe two or more that you think can sustain you and will never run out of power until you finish camping. However, if you can get rechargeable lamps, a kerosene lamp will suffice. Apart from these, there are other options you may think about. The most important thing is for you to get a source of light. When setting up the sailboat for camping, it is good that you mount a lamp in the cuddy in the boat. This is very important and should be one of the germane things you will consider when setting up a small sailboat for camping. You should have this set up in the cuddy. All you need do is put down some mattresses bilge in the bottom of the boat. These are thermo rest mattress. Then you can lay out an old sleeping bag to serve as the base layer to take some of the chills off from the water underneath the boat while you have protection from the fibreglass base. At the same time, you need to plan storage where many of your things will be stored. You can decide to have one side of the storage that will be used for galley supplies while the second side of the storage will be used for storing your navigation supplies while camping. Though the boat is on the water, it may be salt water that is not good for consumption or bathing. If this is the case, you need to outsource water maybe by buying fresh water. The truth of the matter is that you will find the fresh water easily, but you may need to be careful by not consuming too much water so that this will not eat up your budget. Meanwhile, you can decide to have the fish tank or aquarium on the boat. It can be using like water capacity in your small sailboat as well without freshwater fish of course. When you are still at the boatyard, it is pretty easy and good to maintain your boat. But once you move onboard, maintaining the boat becomes more challenging for reasons that are obvious. Apart from the fact that you need to do the repairs afloat, you may not find the parts that you need easily, and this is not good. The motor brackets or stabilizers must be on standby. The best thing you need to do is make sure your boat is serviced very well before going on camping.